Try beginning your stitching with a Loop! This easy tip saves you time, and keeps the back of your work looking nice and tidy! Separate ONE (1) strand of floss, twice as long as you normally use. Fold the floss in half, and thread the 2 loose ends through the eye of your needle. This should make a long tail with a “loop” on the end. 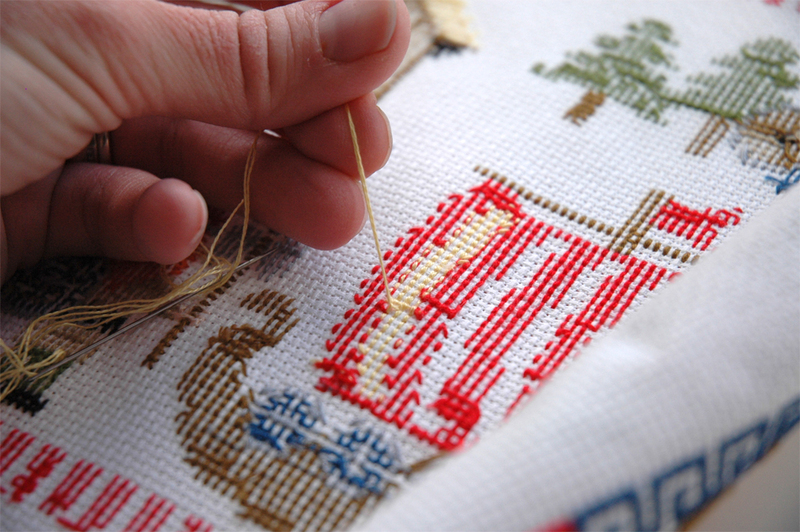 Bring your needle up from the back, as you would to make the first half of your cross stitch. Then you can finish your cross stitch as usual. 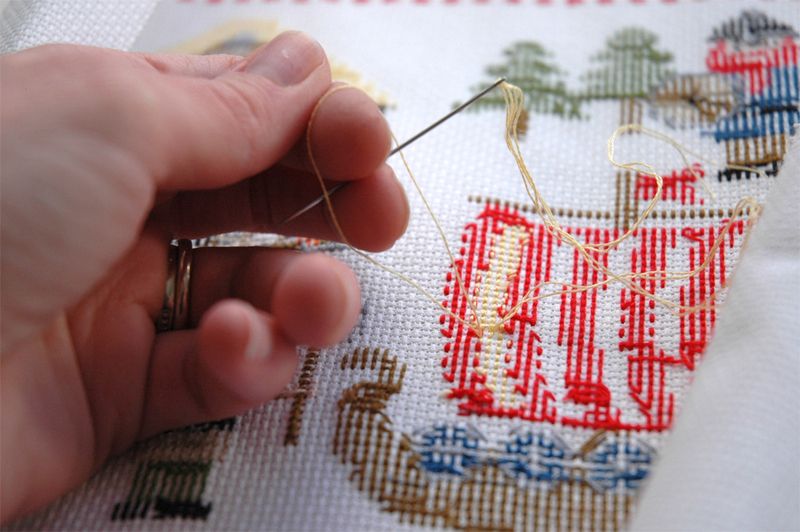 End your thread in the usual way of running it under several threads along the back to secure.